Welcome to PCA&D, Class of 2021! 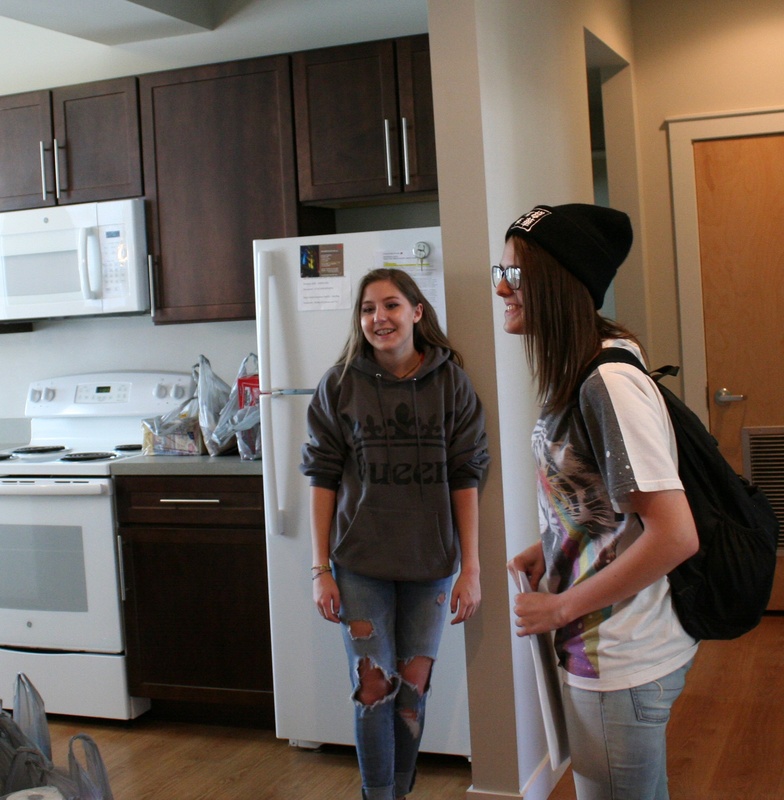 Today is move in day at Steinman Lofts, home to many of the members of PCA&D's Foundation Year students. Today, with the help of family and friends they are focusing on unpacking their belongings and exploring Lancaster City. Next week is Orientation, designed to help them get the most from their art college adventure! Classes begin on September 5. 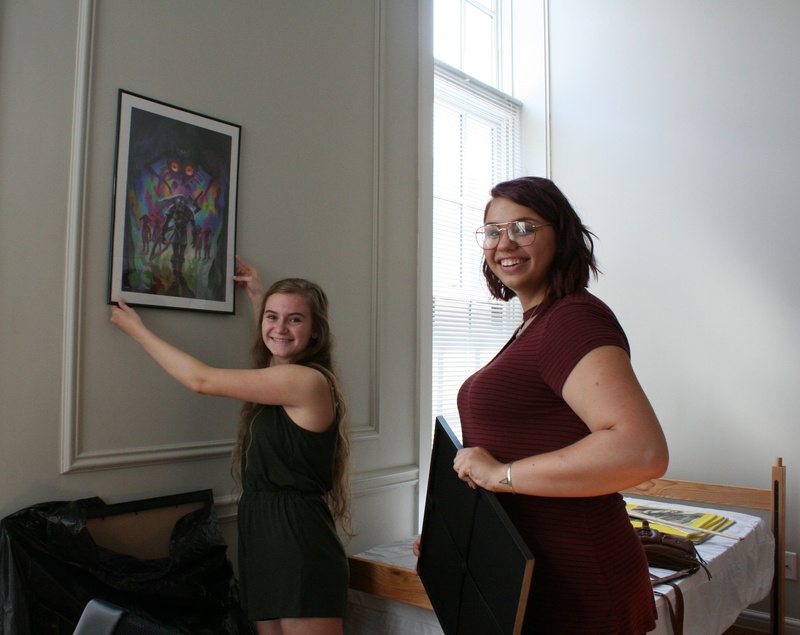 McCaffrey Martone and Tatiana Johnson, decorate their first college apartment. McCaffrey, from Mechanicsburg, PA, who plans to major in Digital Media, is "Excited to be doing what I love!" Tatiana, from Lewisburg, PA, Graphic Design, is excited for the education aspect and is thrilled to be able to experience the Lancaster culture. Will Riley, from Drexel Hill, PA, Digital Media, is excited to be out in the city and to be able to start on his dreams. 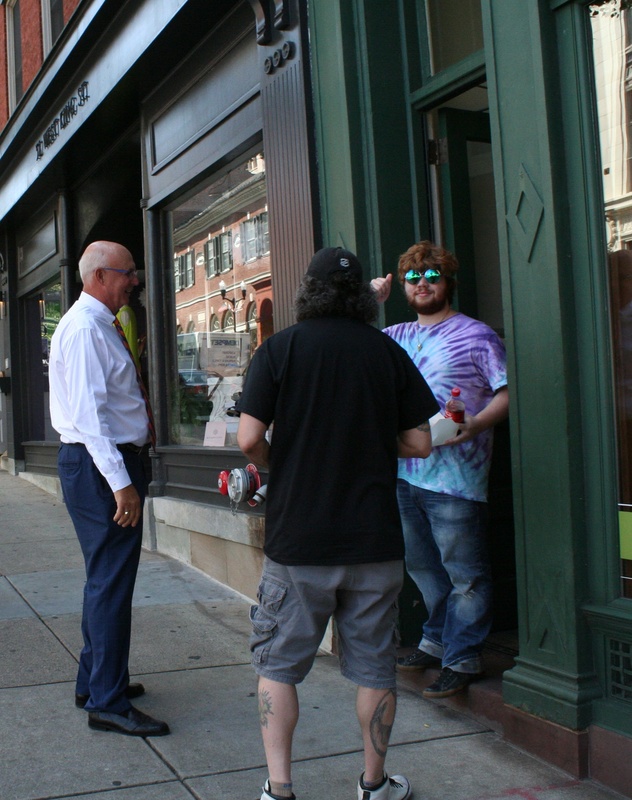 Will and his father talk with Robert Brandt, Chair of the PCA&D Board of Trustees, as they pause during moving into Will's apartment on West King Street. 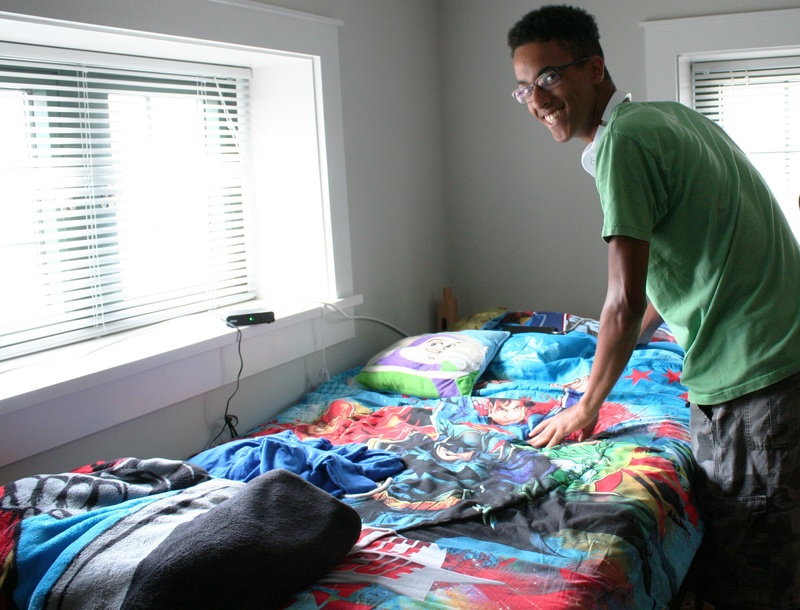 Miles Warren, Columbia MD, an prospective Illustration major, adjusts his bedding in his light filled room. He can't wait to have all the college's materials at his fingertips. Carrie Wicker and Natalie McNew survey their new kitchen. Carrie, Martinsburg, PA, is considering majoring in Photography. She's excited to meet new people and says its really pretty in Lancaster. Natalie, Newville, PA, majoring in Digital Media, says, "Moving into my own palace is exciting!" 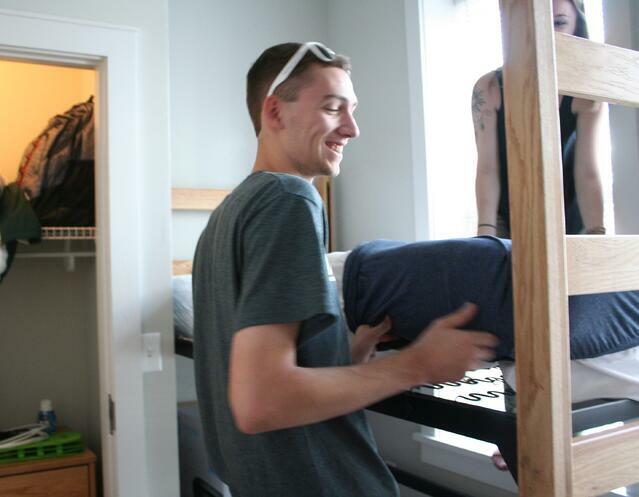 Seth Zellers, Perkasie, PA, plans to major in Digital Media and enlisted his sister to help him unpack and organize. He is "looking forward to classes and being on my own. And learning more about designing."